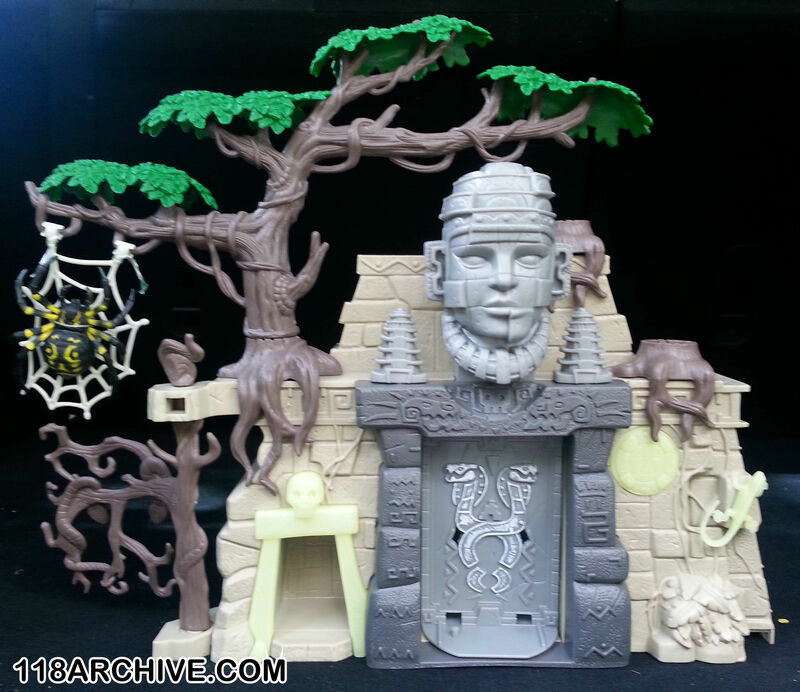 Here is the new playset unboxed. The temple is pretty awesome. The plastic used is a bit flimsy so I wouldn't recommend standing on it. 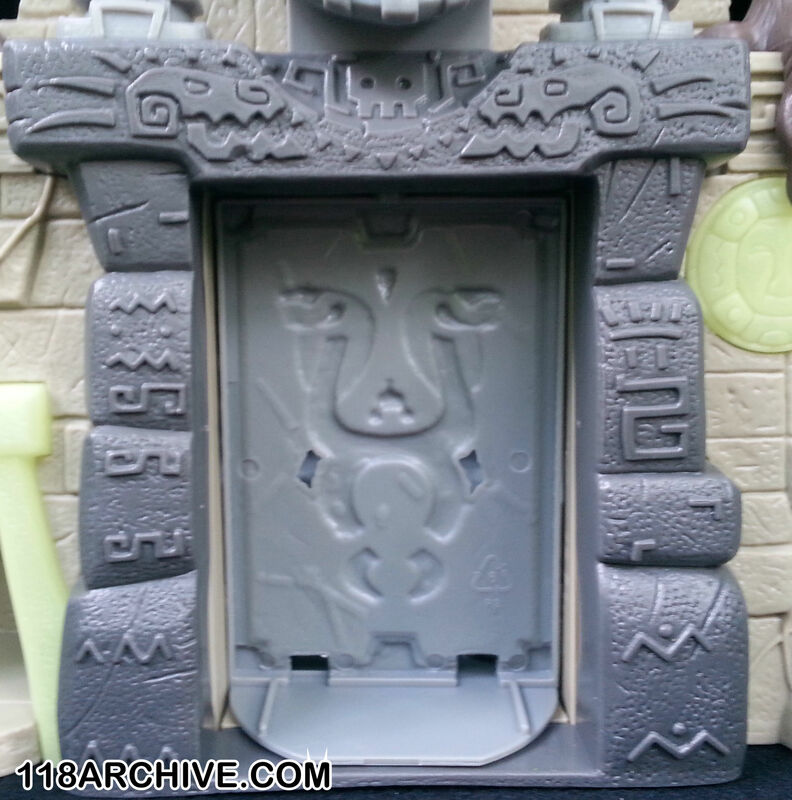 So the temple head is actually a lever that you can push down and it will rotate the door. 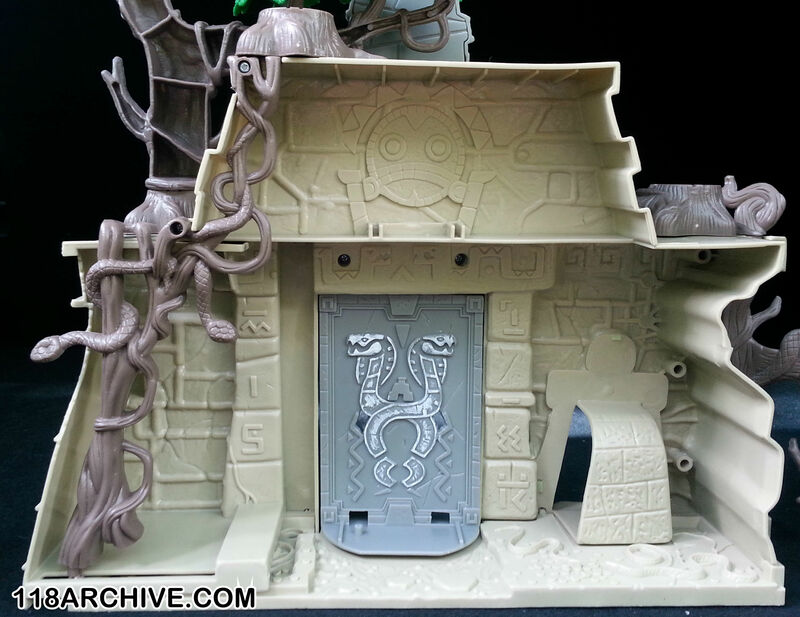 I think the lizard, seal, and hidden chamber entry are glow in the dark but I have not confirmed that yet. The sculpting is really good and has a lot of details added that are a bit hard to see but will look really great with a little bit of paint. 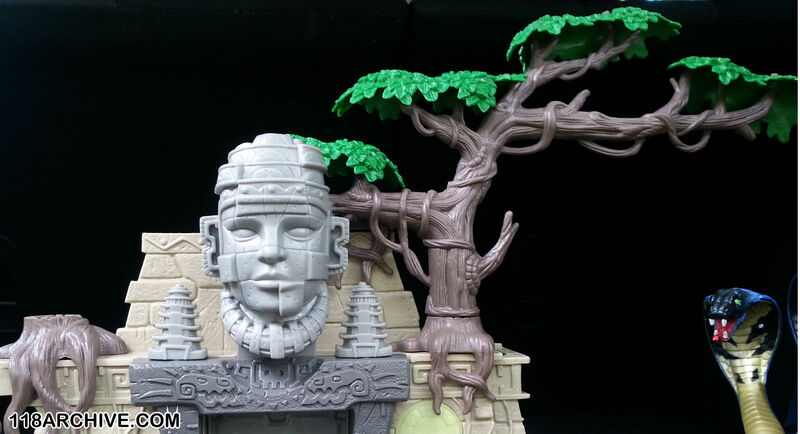 The extra tree stumps are actually functional and the tree can be moved and inserted into any of the other stumps. 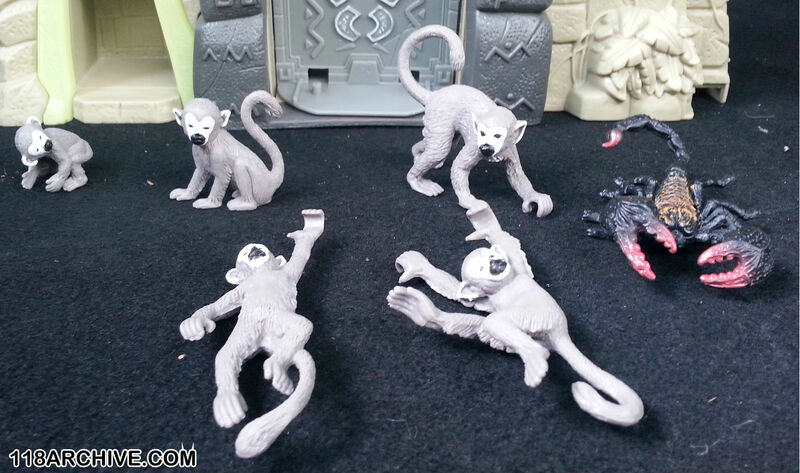 It comes with 5 static monkeys in different poses and a giant scorpion, just not a radioactive giant scorpion. 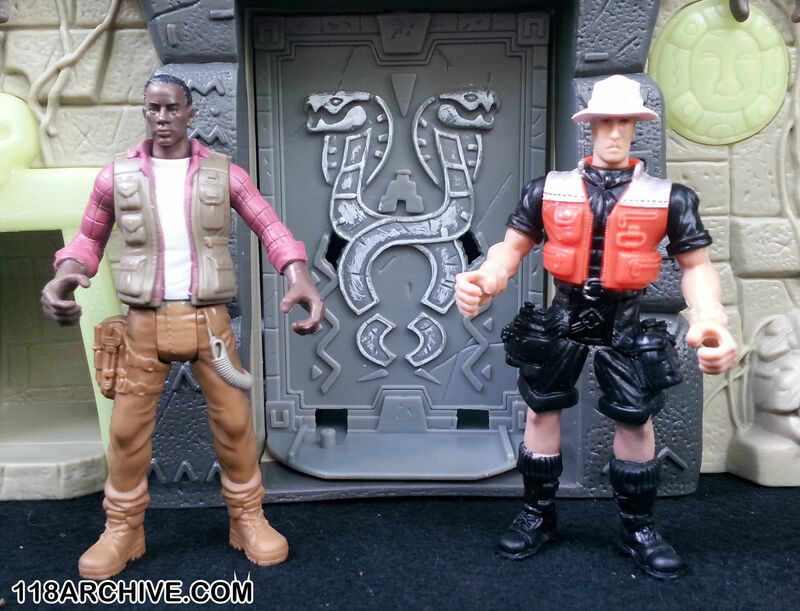 The two figures that come with the set are the new black adventurer who really needs a name. I was thinking about naming him Ray Arnold after Sam Jackson's character in Jurassic Park. 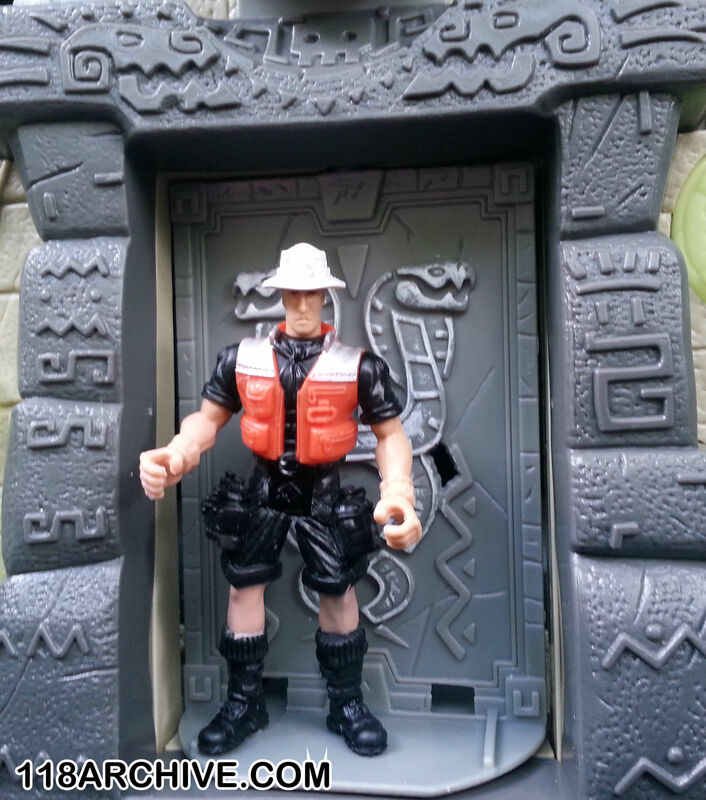 It also comes with good o'l Trekker Bill from the many other Animal Planet and Wild Adventure lines. So here is Bill standing on the rotating doorway. Push the temple head down and now he's gone. Here is the tree now moved over to a different stump. 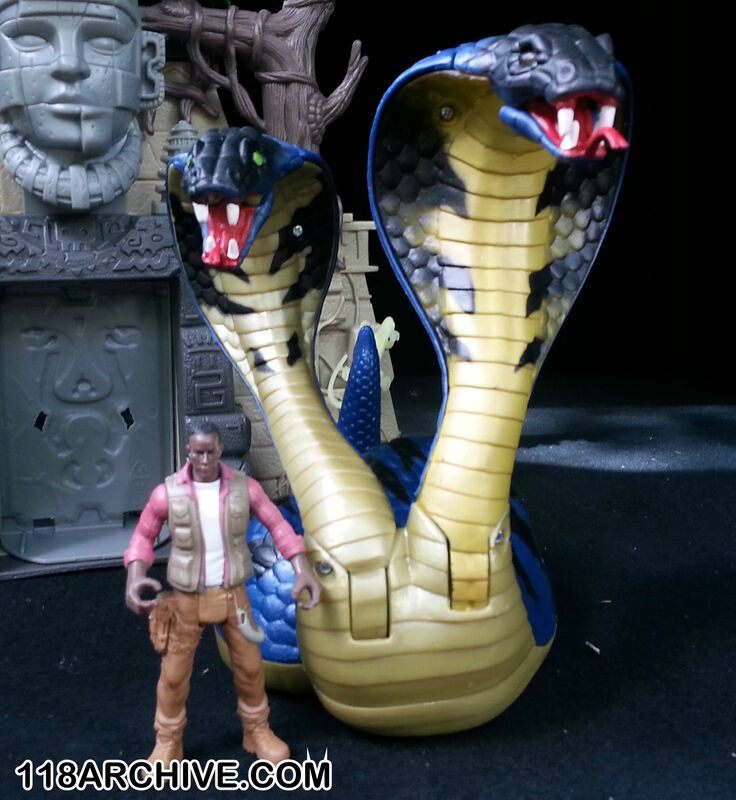 Giant two headed snake and I mean Giant! Mr. Arnold for scale. It also has some cool markings on the back. Backside of the temple. There is actually a lot of great detail added here. 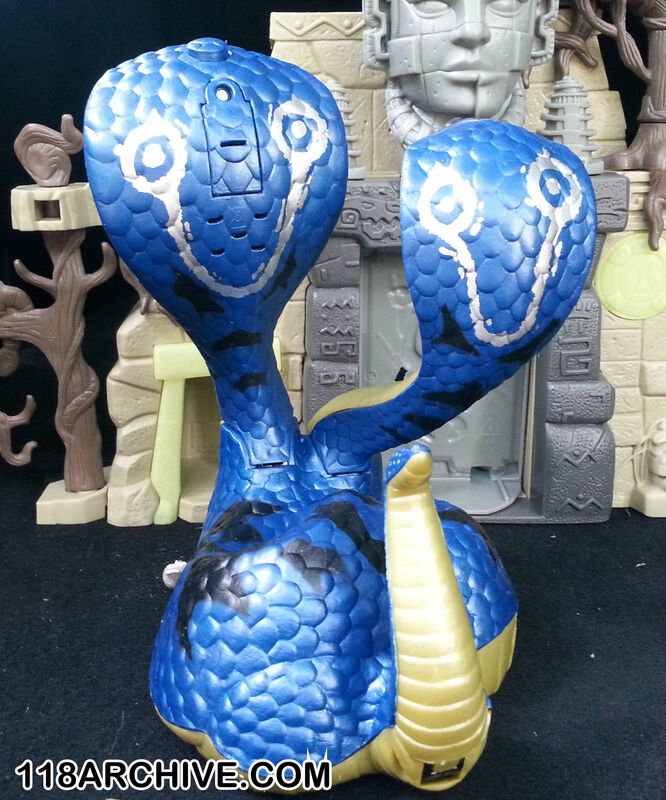 Hieroglyphs on the wall, Snakes sculpted into the roots and on the floor. 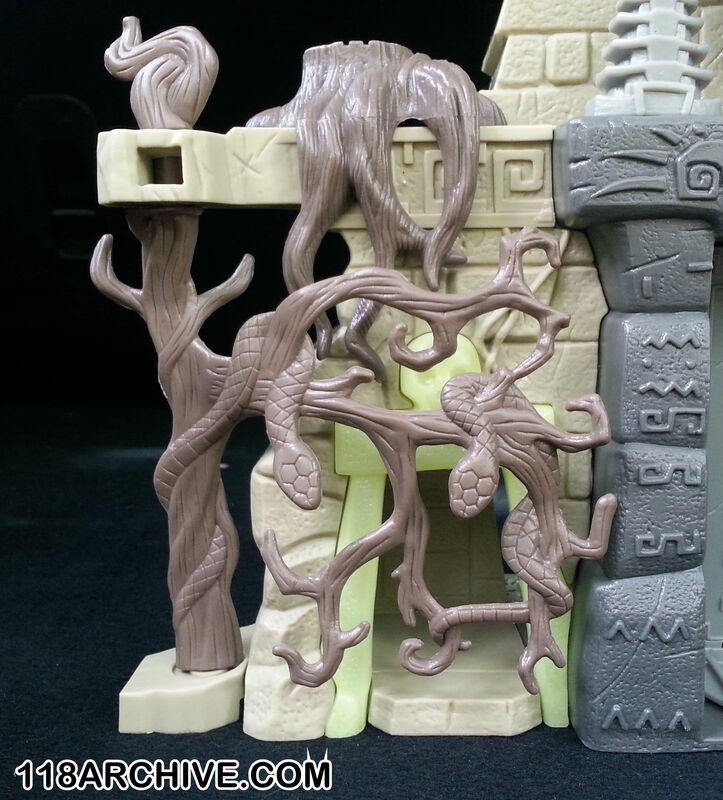 This particular set of roots has some more snakes sculpted on and is able to be rotated to cover the secret entrance. 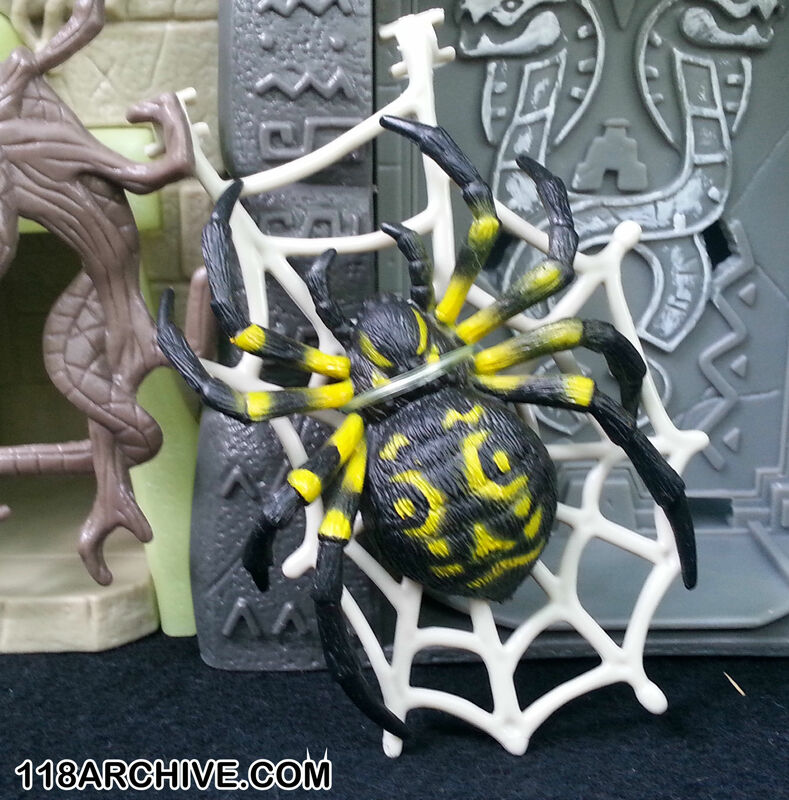 Giant corn spider and web. 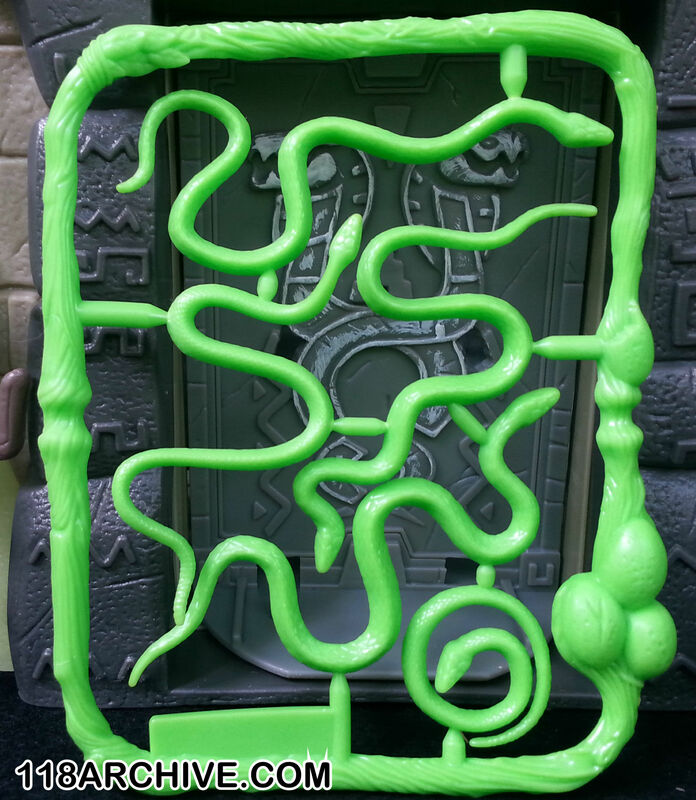 sprue of snakes for more reptilian fun. 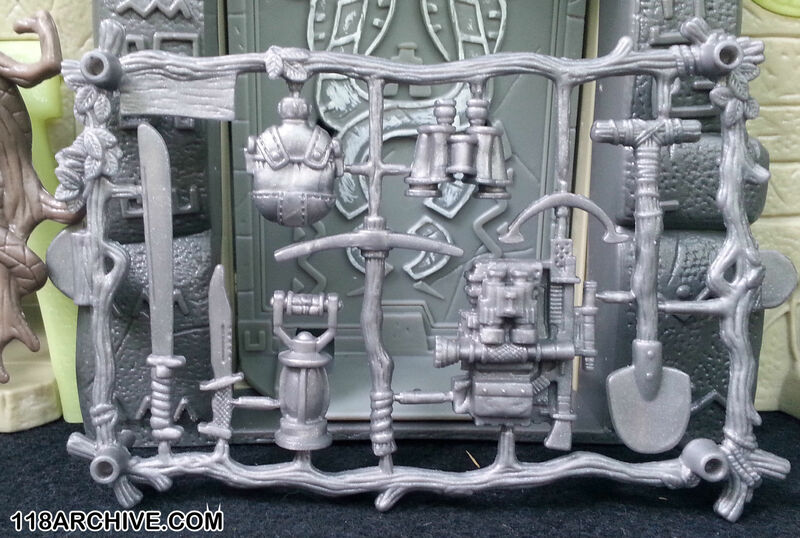 sprue of handy adventure gear. 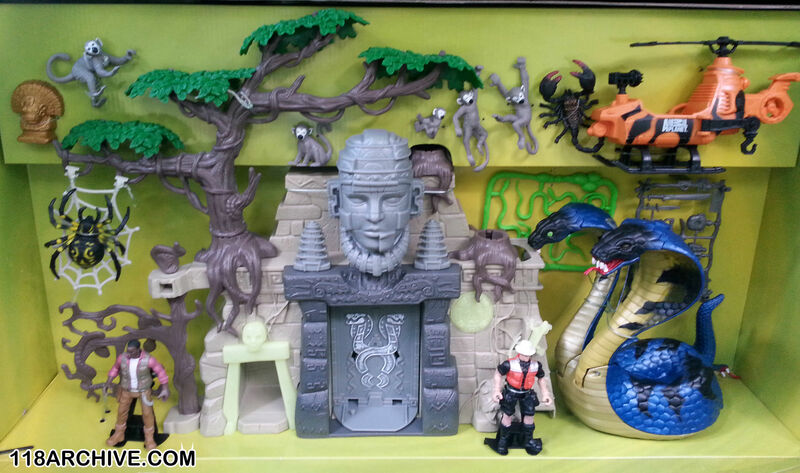 That actually looks like a fun set. Could put a lot of those parts to good use. That is very cool. 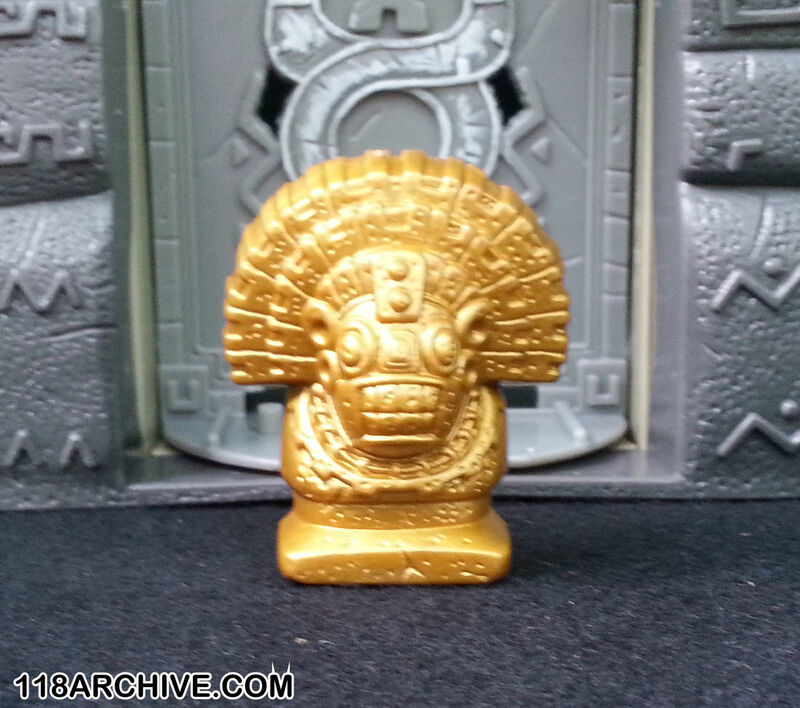 I might grab it and use it for the new Imaginext Dinosaur sets, as they feature a bunch of Inca/Aztec-type warriors that would fit well with that aesthetic. I sence an Indy dio in the making. This dino set is pretty cool. I could see that vehicle being the basis of a neat Alley Viper transporter.